It couldn't be any more English: bright red double decker buses and the Tube in London, cabbies, tea and scones on a rainy afternoon, a pie and pint for dinner perhaps. Culture and history enthral visitors: from the Crown Jewels in the Tower of London to Stonehenge to the ancient and world-renowned universities of Oxford and Cambridge. The Queen's country sometimes feels like a giant open-air museum, where every valley reveals another cathedral or ancient ruin. But 21st century England is not simply, or even mainly, about heritage and history. Many tourist clichés are long obsolete: London no longer has 'pea souper' fogs; Manchester is no longer a grimy industrial city; Englishmen don't wear bowler hats and you'll have to look long and hard to find a 'gentleman'. Modern England is a vibrant and fast-growing economy dominated by the services sector. If the country no longer makes things as much as it once did, it sells advertising, insurance, technology and music to the rest of the world instead. And, nowadays, it eats well....and widely. You'll find cuisines from across the world represented in all English cities, towns and, often, villages to! Of course, some of the clichés were never true. In England, it can (and often does) rain but it rarely rains for very long, or very heavily. London's rainfall is actually about the same as that of Paris and about half that of New York City. And snow? Well, the fact that the whole country still tends to grind to a halt when there is any sort of snowfall should tell you that, unless you are in the mountains, lying snow of any depth really isn't a common occurrence! England has been inhabited since Palaeolithic times. The earliest evidence of human habitation discovered so far (fossilised footprints found on the Norfolk coast) dates back over 800,000 years and there is a wealth of prehistoric sites throughout the country. Subsequently England was invaded and/or settled by many peoples, including the Romans, Angles, Saxons and Jutes (often combined as 'Anglo-Saxons') and the Danes and Vikings. In 1066 the Norman invasion placed King William l (known as 'William the Conqueror') on the English throne. This was the last time that England was invaded. By the end of the 16th century (1500s), England was beginning to become a global power, thanks to the Reformation and the successful reigns of Henry VIII and Elizabeth I. The English Civil War turned the 17th century (1600s) into a bloody one, with the long-running battles between Royalists and Parliamentarians finally ending in 1660 when the monarchy was finally reinstated with the accession of King Charles II. When the unmarried and childless Queen Elizabeth l died in 1603 the English throne passed to King James Vl of Scotland, who became King James l of England. Since that time kings and queens of England have also been the monarchs of Scotland, although the two countries only entered into full political union in 1707, creating the 'United Kingdom of Great Britain'. In 1800 an Act of Union with Ireland created the United Kingdom of Great Britain and Ireland. During the Industrial Revolution of the 18th and 19th centuries, England became a world leader in innovation, invention, manufacturing and engineering, increasing its global empire. England suffered heavy casualties in the First (1914 - 1918) and Second (1939 - 1945) World Wars, and a huge amount of bomb damage during the latter. During the second half of the 20th century, England, under the reign of current Queen Elizabeth II, gradually recovered from the effects of war and many former colonies were granted their independence. Geographically England includes the central and southern two-thirds of the island of Great Britain, plus such offshore islands as the Isle of Wight and the Isles of Scilly. It is bordered by two other countries of the United Kingdom - to the north by Scotland and to the west by Wales. England is closer to the European continent than any other part of mainland Britain. It is separated from France by a 34-kilometre sea gap, though the two countries are connected by the Channel Tunnel near Folkestone. England also has shores on the Irish Sea, North Sea and Atlantic Ocean. The ports of London, Liverpool, and Newcastle lie on the tidal rivers Thames, Mersey and Tyne respectively. At 350 kilometres, the Severn is the longest river flowing through England. It empties into the Bristol Channel and is notable for its Severn Bore (a tidal bore), which can reach 2 metres in height. However, the longest river entirely in England is the Thames, which is 346 kilometres in length. There are many lakes in England; the largest is Windermere, within the aptly named Lake District. The South East of England, particularly the Greater London conurbation, is densely populated and largely flat. Much of the South West consists of gently undulating agricultural land, with some areas of high moorland (particularly Exmoor and Dartmoor). Cornwall is the exception - a rough, ruggedly beautiful rural peninsula, with the sub-tropical Isles of Scilly lying beyond. East Anglia is generally flat, with much fenland and long, quiet stretches of coastline. The mountains of England are the Pennines to the north, with the high ground of the Peak District, the Yorkshire Dales, Howgill Fells and the Lake District also punctuating the landscape. Their geological composition includes, among others, sandstone and limestone, and also coal. There are karst landscapes in calcite areas such as parts of Yorkshire and Derbyshire. The Pennine landscape is high moorland in upland areas, indented by fertile valleys of the region's rivers. They contain three national parks, the Yorkshire Dales, Northumberland, and the Peak District. The highest point in England, at 978 metres, is Scafell Pike in Cumbria. Straddling the border between England and Scotland are the Cheviot Hills. The English coastline is varied and diverse. Long, sandy beaches are commonplace in some parts whereas in other areas the coastline is made up of huge cliffs, pebble beaches and rocky outcrops. Due to its geological history England, like the other countries of the U.K, is generally well-suited to agriculture. Much of the soil is fertile for crops and much of the land is good for animal grazing. England is divided into nine governmental regions. North East - Northumberland, County Durham, Tyneside and Teesside. The North East of England is colder and drier than the rest of the country. Attractions in this area include the port city of Newcastle, the ancient cathedral city of Durham, the remote Cheviot hills, the Wear valley and Kielder Water. North West - Cumbria, Lancashire, Cheshire and Merseyside. The great industrial cities of Liverpool and Manchester can be found here, as well as the Lake District, the Howgill Fells, the Forest of Bowland and the cities of Lancaster and Carlisle. Yorkshire and the Humber - Covering the rural areas of the Yorkshire Dales, the North York Moors and the Northern half of the Peak District, as well as the cities of Leeds, Sheffield, York and Hull. East Midlands - Lincolnshire, Derbyshire, Nottinghamshire and Leicestershire, covering the southern half of the Peak District and the cities of Derby, Nottingham, Lincoln and Leicester. West Midlands - Warwickshire, Worcestershire, Herefordshire, Shropshire, Staffordshire and Birmingham. Coventry, Warwick, Hereford, Worcester and the Malvern hills can be found here. East - covering the East Anglian area of Essex, Cambridgeshire, Norfolk and Suffolk. Cities here include Ipswich, Norwich, Southend-on-Sea and Cambridge. Much of the inland area is either flat agricultural land or fenland, including the Norfolk Broads. London - the sprawling capital is so large that it is a region of its own. South East - the Home Counties and the southeast coast, including Kent, East Sussex, West Sussex, Hampshire, Buckinghamshire, Surrey and Berkshire. This region also includes the Isle of Wight. Towns and cities in this area include Brighton, Oxford, Portsmouth and Reading, and there is some rolling countryside including the South Downs and the Chiltern Hills. South West - the large rural area west of Hampshire as far as Land's End, comprising the counties of Gloucestershire, Wiltshire, Somerset, Devon, Dorset, Cornwall and the Isles of Scilly. The Dartmoor and Exmoor National Parks can be found here, as well as the cities of Bristol, Salisbury, Exeter and Plymouth. The regions above have no powers, although they sometimes form the geographical basis for services working across a wide area such as police or fire, in which case there is a specific authority for the purpose. For England the structure of local government is now (following reforms at short intervals from each other from 1974 until the end of the 20th century) very complicated. In particular, what are regarded by many as counties, based on centuries of history, do not correspond to local government County Council areas. For example the administrative county of Gloucestershire shares its functions with smaller districts in much of the geographical and historical county but there is a South Gloucestershire Unitary Authority, which in its own area, shares local functions with no other authority. In metropolitan areas the situation is less complicated because there are only unitary authorities. However among residents many believe that they come under a metropolitan county, such as Greater Manchester. In fact these councils, which were not in operation until 1974, were abolished in 1986! Something of the same kind applies in London where the Greater London Council was also abolished - but there is now an elected Mayor for all of London along with a London assembly as well as over 30 London boroughs. The Council for the Isles of Scilly is a unitary authority, with some difference to anywhere else in England to take account of its unique geography. If any of this concerns you, there is a lot of general information on this website but for more specific information, you are better off putting 'local government' and (e.g.) 'Somerset' into a search engine. London is a cultural melting pot where the world has found a home, a legacy of England's colonial past and a great contribution to its vibrant culture today. It makes a fabulous stepping stone to all that England has to offer. Getting out of Greater London quickly takes one through tiny villages barely on the map, market towns and large cities which have made significant marks on history. Once you're outside London there is no shortage of lush rolling fields, wild moorland, peaceful lakes and stunning coastal scenery to keep you entertained on the way from one county to the next. Birmingham is a large industrialised metropolis. Brighton is a fun, cosmopolitan seaside town with a café culture and good nightlife, less than an hour away from London by train. Bristol is a southern port city located in Somerset. Cambridge - an old university town. Leeds in West Yorkshire is another town built on manufacturing. Liverpool - historic northwestern port city. Manchester - historically famous for its cotton products. Now a cultural centre of music and art. Newcastle - once famous for its ship-building, now a centre for business and culture. Oxford - home to the oldest university in the English-speaking world. Portsmouth - 'The waterfront city', with miles of sea views, centuries of maritime history and modern developments on the water's edge. York - historic Roman city with a magnificent Medieval Minster (cathedral), now visitor-popular with a thriving university and a modern 'vibe'. Leicester - a highly multicultural city with a cathedral now housing the remains of King Richard lll (excavated in 2012) and an excellent visitor centre and museum focusing on the king, the Wars of the Roses and the discovery of his skeleton. Throughout England, there are traces of history. An abundance of cathedrals, castles, ancient towns and scenic countryside is enough to keep any visitor occupied. Some of the most popular areas and sights are listed below. The Jurassic Coast is a World Heritage Site on the English Channel coast of southern England. It stretches from Orcombe Point near Exmouth in East Devon to Old Harry Rocks near Swanage in East Dorset, a distance of 155 kilometres. Chartered in 2001, the Jurassic coast was the second wholly natural World Heritage Site to be designated in the United Kingdom. 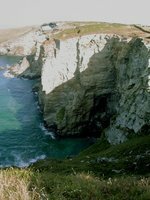 Its entire length can be walked on the South West Coast Path. The site was featured on the television programme Seven Natural Wonders as one of the wonders of the South West (of the UK), and in a 2005 poll of Radio Times readers, the Jurassic Coast was named as the fifth-greatest natural wonder in Britain. Its official UNESCO name is Dorset and East Devon Coast. The Lake District is one of the most beautiful places in England and is in the northwest part of the country. The beauty is stunning and the area has not lost its charm over the centuries. Many authors and painters have highlighted the sublime nature of the lakes and hills around the Lake District but no words can truly give it justice. Among the mountains and lakes, small towns, villages and hamlets are dotted about. These are often just as picturesque as the natural beauty that surrounds them. London has some of the best nightlife in the world. If you're looking for a nice pub, a blue colour watering hole or one of the fanciest night clubs on this planet, London has it. Make sure to have extra money to burn because these places are fun but never cheap. Many of the trendiest nightspots are very popular with the rich and famous. Westminster Abbey is the most important church in England. The existing building dates back to 1245 and, since 1066. the coronation of all kings and queens has taken place there. Many famous people are buried in Westminster Abbey, including Geoffrey Chaucer, Henry Purcell, Sir Isaac Newton, Charles Darwin and several kings and queens. Any visit to London would be incomplete without visiting the Westminster Abbey. The Palace of Westminster, also known as the Houses of Parliament, is the iconic landmark that represents not just London but the entire United Kingdom. Until 1512 the site was a royal residence but a fire forced Henry VIII to move out. However, the site remained a Royal Palace; and thus its official title is the Palace of Westminster. Today, it is where the two Houses of the Parliament of the United Kingdom (the House of Lords and the House of Commons) meet. The Clock Tower, the main part of the iconic landmark to travellers, is often wrongly referred to as 'Big Ben', which is actually the nickname of the bell housed within the Clock Tower and not the tower itself. Big Ben's official name is the Great Bell. Stonehenge, near Salisbury in Wiltshire, is one of the best known structures in the world. This mysterious megalith was built thousands of years ago from huge stones, some of which were transported from hundreds of miles away in Wales. The structures line up with major solar and lunar events and it is thought they may have served as a calendar and site for religious ceremonies. Stonehenge has inspired and awed people for millennia. The Roman Baths in the city of Bath offer a well-preserved glimpse into Roman life in Britain. Greenwich is the home of Greenwich Mean Time and Longitude 0°. Hadrian's Wall is near the border of Scotland and was built in 122 AD under the orders of Roman Emperor Hadrian. It once served as the border between Scotland and England. The Tower of London, first built by William the Conqueror in 1078, is the home of the Crown Jewels of the United Kingdom. Canterbury Cathedral is the cathedral of the Archbishop of Canterbury, leader of the Church of England and the worldwide Anglican Communion. Global Gathering - An annual dance and music festival, usually held on the last weekend of July at Long Marston Airfield, near Stratford-upon-Avon, Warwickshire, West Midlands. The Glade - An electronic dance music festival held for three days in the summer at the Wasing Estate, adjoining Aldermaston near Newbury in Berkshire, South East England. Creamfields - A large dance music festival featuring DJs and live acts. It is held annually on the UK's August Bank Holiday weekend in Daresbury, Warrington, Cheshire, North West England. Glastonbury - This is one of the largest music and performing arts festivals in the world. It also features dance, comedy, theatre, circus, cabaret and many other arts. It is held annually in Somerset, South West England. The most famous of all the tennis tournaments is the two-week-long tournament played on the grass courts of Wimbledon in June and July. The venue for the matches is the All England Lawn Tennis Club. Getting tickets to go and see a match is not easy as the tournament is the most popular in the calendar. More information can be found on the Wimbledon website. As well as the courts there is a museum, which can be visited throughout the year, daily: 10:00am - 5:00pm. Visitors to the museum can also book a tour of the courts on most days of the year. It is, however, advisable to book well ahead. Now a similar celebration to the ones held in the US, Halloween is the perfect excuse to dress up as anything and everything and act out your childhood fantasies. Plenty of establishments throw costume parties and you are bound to see more than your fair share of drunken zombies crawling through the streets until the early hours of the night, throwing inhibition to the wind. The English festival on November 5 celebrates the failed attempts of terrorist Guy Fawkes to blow up Parliament in 1605. The Gunpowder Plot was a plan conceived by a group of English Catholics, including Guy Fawkes, to blow up Parliament during the state opening which would have been attended by the Protestant King James I. Each year, impressive bonfires are constructed in public arenas and traditionally burn effigies of Fawkes on top. Huge firework displays can be seen throughout the country in park areas and backyards alike. One of the calendar’s most fun loving evenings sees English people spilling out of pubs, clubs, and house parties on every street corner as they celebrate the past 12 months and welcome in a new year. London, in particular, is a great place to spend the evening, counting down the remaining seconds of the year outside the capital’s famous clock tower, Big Ben. For centuries, May Day has been celebrated in England on the first of the month. While not quite as popular as they once were, the festivities today are locally-orientated and centred around the symbolic Maypole, and includes Morris dancing and the crowning of a May Queen. The festival is thought to date back to the pagan beliefs of the Anglo-Saxons. Is a popular city wide festival which occurs every year on the August bank holiday weekend. It is a free festival in which bands and artists play on outdoor stages around the city centre. Due to its popularity the city can get quite busy during this weekend. Mathew Street is the original site of the Cavern Club where the Beatles played in their early years, initially as the Quarrymen in February 1957, until the advent of Beatlemania in August 1963. Notting Hill Carnival happens every August Bank Holiday in London with a Kids Day, an Adults Day and a spectacular parade which rivals that in Rio. 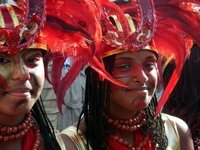 There are plenty of stalls, selling foods from all over the world, but the carnival primarily remains true to its Caribbean roots. There are live bands and DJs with many sound systems set up in surrounding streets so you can continue to party long after the midday parade. England has a mild maritime climate with, generally, no extreme weather. Temperatures in summer (June to September) average around 18 °C to 22 °C during the daytime and around 10 °C to 12 °C degrees at night. Occasionally, summer temperatures can reach 30 °C, especially inland. Coastal areas are a generally cooler in summer and a little milder in winter. Inland northern areas tend to be slightly colder than more southern areas throughout the year. Winter temperatures are generally above zero during the daytime and can often be around or still slightly zero above at night, though frost is quite common. Snowfall is common on the very highest ground during winter but much less so elsewhere. There are many areas of England which see little or no snowfall during most winters. Rain is possible throughout the country at any time of year though it is rarely very heavy or long-lasting. The Spring months tend to be a little drier and are a good time to visit England. There are many international airports in England, with the busiest ones being those in London. British Airways is the national carrier of the United Kingdom and flies to many main cities around the world. Apart from the national carrier, virtually all major airlines have England as one of their destinations. For those on a budget, there are also many low-cost carriers in Europe with destinations in England. Easyjet, one of the biggest low-cost carriers in England, flies into different parts of England from around Europe. And of course Irish-owned Ryanair flies to and from many of destinations in England. Trains from continental Europe enter England via the the Channel Tunnel, also known as the Chunnel, a 50.5-kilometre undersea rail tunnel. The two main services are the Eurostar, a high-speed passenger train, and the Eurotunnel Shuttle, for vehicle transport (see By Car section, below). Eurostar runs from Lille, Paris and Brussels as well as seasonal destinations to London and other south-eastern locations in the UK. Refer to the Eurostar Route Map for all possible connections to the rest of England. The Venice Simplon-Orient-Express is a luxury train service with the original and main journey being London-Venice. There are also several other journeys to choose from, with stops in Budapest, Istanbul, Krakow, Paris, Prague, Rome and Vienna. Carriages dated back to the 1920s and 1930s are used to give a vintage feel for this luxury train service. The official National Rail website has all the information you need about schedules and prices. There are dozens of daily connections between London and Cardiff (Wales), Glasgow and Edinburgh (Scotland), as well as throughout mainland Britain. See the Northern Ireland, Wales, England and Scotland articles for travelling within those countries. The Eurotunnel service is the fastest way to cross the English Channel in the comfort of your vehicle. The shuttle train transports both you and your vehicle from Calais, France to Folkestone, England via the Channel Tunnel in about 35 minutes. From Folkestone, the M20 motorway connects to London. A number of roads cross England's borders with its British neighbours. These roads range from the simple country lanes to motorways. There are no border controls with Scotland or Wales; indeed, on smaller roads the border may not be noticed at all. There are no tolls to cross into England; however, motorists need to be aware that crossing from England into Wales via the M4 and M48 Severn Bridges will need to pay a toll. Also, there is a M6 toll road to bypass the congestion of Birmingham (England's second largest city) on the main M6 motorway. Eurolines and National Express provide services to both continental Europe as well as Scotland and Wales. While Britain has had long distance buses for decades and many of them serve various points inside and outside of England, France only opened its long distance bus market in 2015. Of course, several companies have jumped at the opportunity and London-Paris (via the Chunnel) is probably the most obvious international route, which is offered by several companies, including French ouibus, British Megabus or German Flixbus. While travel times are usually a lot longer than by plane or train, the prices tend to be rather low and fares below 20€ are not unheard of. England is very well connected to quite a few countries in the western and northern parts of Europe. P&O Irish Sea Ferries between Dublin and Liverpool. DFDS Seaways between Gothenburg and both Harwich and Immingham. Stenaline between Harwich and Gothenburg. Colorline between Newcastle and both Bergen and Stavanger. Fjordline between Newcastle and both Bergen and Stavanger. DFDS Seaways between Newcastle and Kristiansand. DFDS Seaways between IJmuiden and Newcastle. Stenaline between Harwich and Hoek van Holland. P&O Ferries between Rotterdam and Hull. P&O Ferries offers daily overnight ships between Hull (England) and Zeebrugge. DFDS Seaways between Cuxhaven and Harwich. DFDS Seaways between Esbjerg and Harwich. Norfolk Line between Dunkirk and Dover. Sea France between Calais and Dover. Hoverspeed between Calais and Dover. P&O Ferries between Calais and Dover. Hoverspeed between Boulogne and Folkstone. Hoverspeed between Dieppe and Newhaven. Transmanche Ferries between Dieppe and Newhaven, Dieppe and Dover, Boulogne-sur-Mer and Dover and Le Havre and Portsmouth. P&O Ferries between Le Havre and Portsmouth. LD Lines between Le Havre and Portsmouth. P&O Ferries between Caen and Portsmouth. Brittany Ferries between Caen and Portsmouth. P&O Ferries between Cherbourg and Portsmouth. Brittany Ferries between Cherbourg and Poole. Condor Ferries between St Malo and Poole and Weymouth and between Cherbourg and Portsmouth. Brittany Ferries between St Malo and Portsmouth. Brittany Ferries between Roscoff and Plymouth. P&O Ferries between Portsmouth and Bilbao. Brittany Ferries between Plymouth and Santander. Condor Ferries from Guernsey and Jersey. Boats travel to Weymouth and Poole from Jersey and to these places and Portsmouth from Guernsey. It is possible to fly between most major cities. British Airways operates an extensive service covering almost every major population center. Cheaper national flights are available with budget carriers such as Ryanair, Easyjet and FlyBE. Routes which may be of particular interest given the comparative expense of travelling overland include London to Newcastle with Easyjet, London to Newquay with Ryanair and Birmingham to Newquay, Manchester to Exeter, Manchester to Norwich and Manchester to Southampton with FlyBE. An interesting and scenic flight is England's only scheduled helicopter service, operated by the appropriately-named British International, connecting Penzance in mainland Cornwall with St Marys and Tresco in the Isles of Scilly. There is an extensive train network serving all cities and most towns. The ticketing system can be confusing and complex and travellers often pay too much for tickets as a result. All train times, details and fares are shown on the official National Rail site. Buying tickets through this site takes you to the sites of the various rail operators. The cheapest available tickets are special discount rate tickets issues directly by the train companies. These are usually sold as singles. The very cheapest are available on National Express owned routes (including London to Peterborough, Leeds, York and Durham) or via the Stagecoach franchise Megatrain (routes include London to Exeter, Axminster, Bournemouth and Sheffield, and Manchester to Oxenholme - the Lake District, Penrith and Carlisle). Other operators, including Virgin Trains, may offer discount rate single tickets. It's important to note that these tickets are only for travel on a specific train - if you book this ticket type and travel on the wrong train you'll be charged the full Standard Open fare. This will always be extortionately expensive. Rather more expensive are 'Saver' tickets. These are always cheaper as returns than as singles and are available for any route on the network. It's possible to reserve a seat, but permissible to travel on any 'off-peak' train. The definition of 'off-peak' varies according to the route, but will always include most trains departing after 10:00am. 'Standard Open' tickets are available up until the last minute on any train, and are the preserve of the rich, the desperate and the mad. As an example, the Standard Open single fare from London to Exeter is more than 12 times the cheapest discounted fare available from Megatrain - for travelling in the same class on the same train. Some train companies offer special discounts for first class tickets. Occasionally this makes them almost as cheap as the cheapest available standard fare. Travelling first class is a pleasant experience and worth buying if the difference between available fares is low. At weekends and during public holidays long distance routes can be disrupted by repair work. Information on all routes, including details of engineering work and train running, is available at the website of National Rail. For more details on how to 'beat the system' to get cheap fares, see the Money Saving Expert website about cheap train tickets. Cars can be hired from airports, city and town centres and near many stations. The main companies include Hertz, Avis, Sixt, Budget, Europcar, Thrifty and Enterprise. The road network is extensive and in good condition, so it is easy and convenient to drive around the country. Levels of car ownership are high, and congestion is a major problem in most cities and on most motorways, particularly in and around London, Manchester and Birmingham. Be aware that driving into Central London requires payment of a Congestion Charge, which you'll be liable for even if you're driving a hire car. Non-payment of the charge will result in a large fine. Strictly enforced speed limits, a multiplicity of speed cameras and drink-driving regulations, together with a tough driving test, mean that safety standards on England's roads are amongst the highest in Europe. However accident 'blackspots' do still exist and particular care should be taken in rural areas and after dark. It is illegal to use your mobile phone whilst driving. Penalties are very severe. England's bus network is very extensive. Almost every town and village is connected to the public transport network. Most local bus services are provided by regional operators. In rural areas buses often only run on certain days and to a very limited timetable devised to serve the needs of residents. This would be difficult to work out if it wasn't for the extremely useful Traveline service which provides a searchable database of local and regional bus timetables. Local buses are usually comparatively cheap. National Express and Megabus operate a national coach network between major cities. Providing tickets are purchased in advanced this is usually the cheapest method of transport to cover long distances, with all Megabus fares starting from £1 each way. Long-distance bus travel can be time consuming and uncomfortable compared to rail or air travel. Cut-price airport coach services are operated by Terravision and Easybus. Scheduled Steamer routes in the Bristol Channel operated by Waverley Excursions. For visa-related information, refer to the United Kingdom article. The pound sterling is the currency of England, with the international currency code GBP (Great Britain Pound). The currency sign for pound is £ (the symbol is derived from the letter L). The Bank of England (BoE), the central bank of the UK, issues pound sterling banknotes and coins for the whole of the United Kingdom. You can change money from major currencies at most banks, Post Office and some travel agents throughout the country. Credit cards with the Visa and Mastercard logos are widely accepted, although their use may not be accepted for smaller amounts. American Express is not accepted in many places so don't rely on that alone. ATMs are located in all town centres and transport hubs and quite often petrol stations. The vast majority do not levy a fee but a few do. The ATM screen makes it clear that a fee will be charged before you start the withdrawal process. Options for short-term employment include bar tending and waiting tables as well as more specialised work such as in the high tech/computer industry. Visitors from Commonwealth countries will have a much easier time getting a work permit, especially those under 30 as there are several programs. Citizens of countries belonging to the European Union (Germany, France, Spain, etc.) do not require a permit and are free to live and work in England; however, certain restrictions currently apply to certain new EU member states (such as Bulgaria, Romania, etc. ), so you will need to check this out on the UK Border Agency website before travelling. England has some of the best Universities in the world. Probably the best known are those in Oxford and Cambridge but there are dozens more. If you want to learn proper English, there is of course no better place than England to study the language. Check the Study in Britain website, or check the English in Britain website..
English is, unsurprisingly, the main language here and you will be able to speak that across the country. That said, some accents can be difficult to understand and many dialect words are still in use in various parts of the country. There is a small movement in Cornwall that is trying to revive Cornish as a language, but you are unlikely to encounter someone who doesn't speak English. England once had a reputation for poor food, and if you want to find it, it is still possible to do so. But things have changed beyond recognition in the last 20 years. The quality of the average restaurant has improved in leaps and bounds: the English will no longer tolerate overcooked vegetables and leathery meat in the way they might once have done. England has traditional dishes famous the world over from beef Wellington and steak and kidney pie to the humble sandwich. However, a modern English meal is just as likely to be lasagne or chicken tikka masala, with these international meals taking on a decidedly English flavour. The English are great adopters of other countries' food, and you will find a wide selection of restaurants serving cuisine from all over the world wherever you go. Pubs are a good place to get reasonably-priced food, though most stop serving food at around 9:00-9:30pm. Others may not serve food between lunch and dinner. Pub food has become quite sophisticated in recent years and, as well as serving the more traditional hearty English fare, more exotic dishes are now prepared in many larger pubs and in specialist "gastropubs". English food has recently undergone a revolution with larger cities often having award-winning restaurants run by the many 'famous' TV chefs who have now become part of the English obsession with food. London has 60 Michelin-starred restaurants, almost as many as Paris' 77. Eating out at a high-quality restaurant can be an expensive experience: at the very top end (Michelin-star level) expect to pay £100 per head including wine. A decent three-course meal out at a respectable restaurant will normally cost around £30–£40 per head including wine. It is possible to dine for less than this, but the quality usually drops when the bill is below £20–25 per head. If good-quality and cheaply priced food is more your choice, try one of the many ethnic restaurants such as Chinese, Thai, Indian or Mexican. Eating a curry or balti in an Indian restaurant is extremely popular. These restaurants are found everywhere - even larger villages can have them - and usually the food is of good quality and will cater for most tastes. A good curry with side dishes can be had for around £10-15 per head, and those without alcohol licences sometimes allow you to bring in your own alcoholic beverages. Eating a curry out is a social occasion and sometimes you men challenging their own taste buds by opting for spicier curries than they find comfortable! In towns and cities these restaurants are usually open late (especially on a Friday and Saturday night) to cater for people eating after the pubs have closed. At this time that they can get very busy and lively, so if you want to avoid the crowds visit the restaurants before the local pubs shut. Unlike many other European countries, vegetarian (and to a lesser extent, vegan) food is widely available and appreciated in pubs and restaurants, with several dishes usually appearing on the menu alongside the more normal meat and fish options. However, vegetarians may still find the variety of dishes rather limited - particularly in pubs, where certain dishes such as "veggie" lasagne or mushroom stroganoff feature regularly. Outside London tipping is not generally expected in restaurants. A service charge is sometimes added to the bill but otherwise a tip of around 10% considered to be the norm. Tipping in bars, pubs and cafes is not expected and may be refused. Fish and Chips - battered fish, usually cod or haddock, with thick cut, deep-fried chips. Roast Dinner - traditionally eaten at Sunday lunchtime. Slices from a roasted joint of meat served with roast potatoes, vegetables, gravy and sometimes with Yorkshire Pudding (especially with beef). Beef is served with horseradish sauce, pork with apple sauce and lamb with mint sauce. Cornish Pasty - a pastry filled with finely-chopped meat and vegetables (traditionally onions, potatoes and swede). English breakfast - a combination of bacon (fried or grilled); fried egg; sausages; black pudding (a type of blood sausage); fried mushrooms; fried bread; fried or grilled tomatoes and, often, baked beans. Served with toast and often accompanied by HP sauce. Pies - steak and kidney; steak and ale; chicken and mushroom plus any number of other variations. Cumberland Sausage - a curled (not linked) sausage from the north of England. There is a wide variety of other sausage types, such as Lincolnshire and chipolata. Ploughmans Lunch - a plate which may include British cheeses, ham, pork pie, pickles, salad and bread. A basic Ploughmans lunch consisting of bread, cheese and cider is recorded as being eaten by farm labourers in the fourteen century. There is plenty of accommodation to be found in England, ranging from hostels to luxurious hotels in the city centre of London. Like the rest of the UK, England has a lot of Bed and Breakfasts and some websites where you can find a lot of them include bedandbreakfasts-uk.co.uk and bedandbreakfastnationwide.com. The legal drinking age throughout the UK is 18. It is increasingly common to require proof of age, including when buying alcohol in supermarkets. Pub landlords have the right to refuse service to anyone, regardless of age. Traditionally England is the home of 'real ale' and most pubs have a a variety of brews on tap, often including a monthly 'guest' ale. Pubs carry a range of draught ales and lagers as well as UK and imported bottled beers. Bars and restaurants also carry a range of beers and lagers, often on draught but sometimes only bottled. There are many different kinds of pub. Some are traditional 'locals', and a real part of the community. In most neighbourhood pubs you will find all generations mingling together, which often gives patrons a feeling of community. It would not be uncommon to see three generations of one family congregating in a neighbourhood pub. Nevertheless, pubs can vary widely in character. Depending on the area, you can find a warm and friendly welcome, or drunken youths spoiling for a fight. Cider ('hard cider' - the alcoholic type) is also widely sold both on draught and in bottles. Locally-produced cider is particularly good in the West Country, where it is a traditional drink. Some good white wines, particularly sparkling whites, are produced in England, mostly from vineyards along the south coast. Alcohol tends to be expensive when compared to most of Europe, other than in Scandinavia. No vaccinations are legally required to visit England. The country has a very high health standard, with good doctors, hospitals and widely available medication. Although some parts of the media attempt to portray England as having rampant gun and, in particular, knife crime, the reality is that it is like the vast majority of other countries: a visitor is highly unlikely and would be very unlucky indeed to be caught up in such violence, although there is a lot of "low level" crime (pickpocketing, petty theft and suchlike), something which is commonplace regardless of country. London and some provincial cities such as Manchester and Nottingham have, at times, had a reputation for violence. It is true that there are a very few "US-style" gangs in some inner city areas.....but those areas are highly unlikely to appear on visitors' itineraries. The vast majority of knife and gun crime in England is gang-related and thus not something about which the visitor should be concerned. It should be stressed that, as a visitor, you are very highly unlikely to experience or see any sort of violence or violent crime. Any violence you do come across is likely to be drink-related. When visiting England you should be more concerned about pickpocketing and petty theft than robbery, mugging or violence. Pickpockets and petty thieves exist everywhere in England just as they do elsewhere in the world, not just in cities, and they are especially likely at visitor-popular and crowded places. Use commonsense precautions. Keep cash, cards and phone safely inside your clothes (not in handbag (purse) or backpack), stay alert in crowds, don't leave your bag hanging off the back of chairs, don't flash your cash and take note of who is nearby when using an ATM. If you are a solo female traveller then take the commonsense precautions you would take anywhere in the world. Unlicensed taxis are illegal and using them is not sensible, so don't accept rides from 'taxis' which tout for your custom. Instead, use the huge number of legal and licensed taxis and minicabs (which can only be ordered by phone) that operate across the country. Licensed taxis and minicabs display a licence plate and have a meter. Outside London, licensed taxis and minicabs are usually ordinary vehicles. You'll only find the iconic 'black cabs' in London and perhaps a few in some other very large English cities. In case of an emergency dial 999 or 112. These numbers connect you with police, ambulance and fire services but are for emergencies only. If you need to call the police to e.g. report the theft of your wallet you should use the country-wide non-emergency police number: 101. As smartphones have become increasingly common the number of internet cafés has greatly reduced. A few still exist, although they are now found only in larger towns and cities. UK public libraries provide internet access, time-limited but at no or little charge, though you usually need to book a slot in advance. The vast majority of hotels, hostels and b&bs now provide wifi, generally free of charge. Free wifi is increasingly common in public spaces (airports, parks, city centres) and in the majority of restaurants, pubs and cafes. Using the internet on your personal phone can quickly become very expensive, with carriers charging many times the local rate for data. To avoid expensive roaming charges, you can use the free wifi at cafes, hotels etc or, if you have an unlocked phone, you can easily buy a pay-as-you-go sim with data access. In case of emergency, call 999 or 112 from any phone. Such calls are free and will be answered by an emergency services operator who will ask you for your location, and the service(s) you need (police, fire, ambulance, coastguard or mountain rescue). You can call this number from any mobile telephone as well, even if you do not have roaming. Note that these numbers are for emergencies only. The non-emergency police number is 101. Although payphone numbers have greatly declined, you can usually still find them in public areas such as railway stations and airports. You can usually pay with cash and sometimes by card or, for international calls, special phonecards are still available. Mobile phones are heavily used. The main networks are EE (which includes T-Mobile and Orange), Vodafone, Three and O2. 3G and 4G data services are available and coverage is usually very good throughout the UK, though there can often be blackspots in more rural areas. Roaming on your personal phone plan can be expensive. To manage costs, consider purchasing a local UK SIM card for your phone. Sim cards are easily available at phone stores, supermarkets and newsagents. The Royal Mail provides postal services in the United Kingdom. The Royal Mail's store fronts are called Post Office and offer services ranging from sending letters and packages to foreign currency exchange. Use the branch locator to find the nearest Post Office branch. There will be at least one post office in any town/city and there are quite often post offices in larger villages. It's common for a post office to be incorporated into a shop, with a small separate counter for dealing with post-related matters. All post offices are marked with signs that say 'post office' in red lettering. Post boxes can be found at any post office and standalone large red post boxes on the streets or red boxes in the sides of public buildings. For sending larger packages overseas, it is a good idea to check prices and services with international companies such as TNT, UPS or DHL. 1 Mid-2015 estimate. Office for National Statistics. Retrieved on 2017–03–10. Lived in the UK for the last 10 years or so,2 years in Yorkshire, the rest in London and Surrey.Know a good amount of where to go and how to do it cheaper. This is version 250. Last edited at 15:05 on Mar 5, 19 by Utrecht. 166 articles link to this page.